Our goal is to connect people with the best local experts. 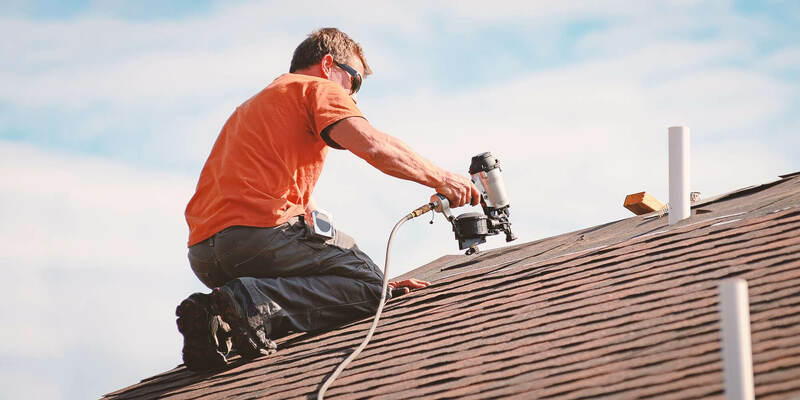 We scored roofers on more than 25 variables across five categories, and analysed the results to give you a hand-picked list of the best roofers in Las Vegas, NV. A 1 All American Roofing is a roofing company in Las Vegas with over 30 years of experience. They operate in Las Vegas, Henderson, and surrounding areas. They inspect and repair roofs and offer to consult on insurance claims. They also help with real estate professionals and property management companies. They are a Better Business Bureau accredited company. Ariat Roofing has been serving all of Southern Nevada for over 25 years. They work with homeowners, local community, project developers, general contractors, and architects to build and maintain quality roofing work. They install, maintain, and repair a variety of roofing, including everything from concrete to clay, slate to shingles, and flat roofs to patios. They have received Elite Service rating from Home Advisor, and are also accredited with the Better Business Bureau. Commercial Roofers in Las Vegas installs roofing and waterproofing products. They provide new construction roofing, re-roofing, roofing maintenance, and retrofitting. Founded in 1996, they have one of the largest full-service waterproofing departments found anywhere. They are licensed, bonded, and insured in California, Arizona, Utah, and Nevada. They are also a proud member of the Las Vegas Metro Chamber of Commerce. Cooper Roofing & Solar of Las Vegas has been in the business for many years and works with all types of roofing including single-ply, tile, shingles, solar, decks, skylights, metal roofing, siding, and caps. They serve the greater Las Vegas area and have obtained C1 plumbing license, C2 electrical license, and C15 roofing, siding, and insulation license. Las Vegas roofing company Desert Valley Roofing has served Southern Nevada for over 25 years. They work with homeowners, commercial project developers, general contractors, and architects to build and maintain roofs. They are specialists in concrete, clay, slate, shingle, and flat roofing. They are accredited by the Better Business Bureau. First Quality Roofing is a premier Las Vegas roofing contractor specializing in new roofs, reroofs, roof repairs, maintenance, and inspections for residential and commercial customers. They are state certified, insured, and offer a ten-year warranty on material and labor. They serve Sun City, Henderson, Mesquite, Pahrump, Summerlin, and Green Valley. Let It Rain Roofing is a respected roofing installation contractor based in Las Vegas. They have served the surrounding area for over ten years. Their specialties include installation and repair of different types of roofs, including shingle, flat, and metal. They serve residential and commercial clients. M R Roofing has operated in Las Vegas and surrounding areas since 1992. They have over 35 years of experience and specialize in major roofing problems, including both new installations and large repairs. M R Roofing is licensed, bonded, and insured. Las Vegas roofing contractor One Roofing Company offers highly skilled commercial and residential services roofing services. The technicians have over 30 years of combined experience and training. They are licensed, bonded, and insured. Las Vegas roofing company Prestige Roofing has been in business since 1995. They provide residential and commercial roofing services. Typical projects include roof fixture installation, custom roofing design, and work with exotic materials such as copper and metal. They are licensed, bonded, and insured TRI certified roofers. The Original Roofing Company in Las Vegas is a customer focused company that has been in business for more than 50 years. They provide services for residential and commercial roofing projects including shingles, metal roofs, painting, gutter repair, soffit and fascia installations, window replacement, and more. The Roof Doctor is a licensed residential and commercial roofing contractor in Las Vegas serving Henderson, Boulder City, Laughlin, and other surrounding areas. They have been in the business since 1989. They provide waterproofing, single ply, built up, wood shake conversions, and concrete tile roofing. Titan Roofing has been serving the Las Vegas community for over 40 years. Common projects include complete roof replacements, skylight installations, roof inspections, metal flashing work, and more. They operate in North Las Vegas, Henderson, Seven Hills, Sun City, The Lakes, Mesquite, and Pahrump. They are accredited by the Better Business Bureau. Las Vegas roofing company, TLC Roof Services, has been in business for over 50 years. They serve customers across the state of Nevada and in California. Some of their services include residential and commercial roof repairs and installations. They specialize in metal roofing, lightweight tile, and installing gutters and deck coating.